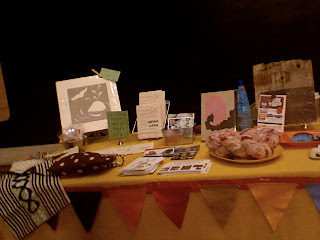 Blogging LIVE from the DIY Trunk Show in Chicago! I brought my laptop to sneak in some editing for the book (our manuscript is due this week!!) and low and behold there is some Internet! This show has always been one of my fav's, like I just told Cinnamon one of the organizers- they really keep it real here! Also, the organizers of the Trunk Show are generously donating their raffle money for the second year in a row to us to help with production cost!!! 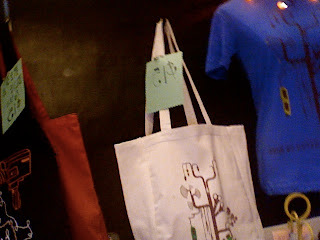 Handmade Nation hearts the Chicago DIY Trunk Show 4 ever! 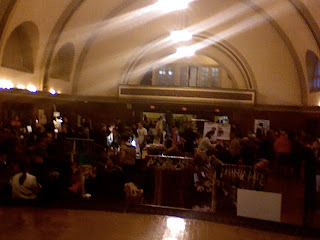 Here are some more sorta crappy pictures I just snapped with my laptop of the room and my table! I just got my very first GRANT!! I was awarded the emerging Mary L. Nohl Fund Fellowship in Milwaukee. Read about it HERE. Pictures from our trip to Stitch in Austin coming soon! 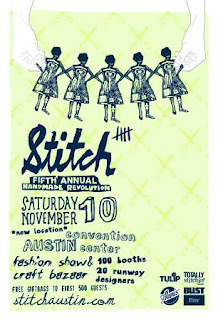 Friday I am Austin Bound for the 5th annual STITCH! I can't complain that going to Austin twice in the past 4 weeks is really a bummer... it is a whopping 48 degrees here in Milwaukee and in Austin, well it's in the 80's! Janelle and I will be flying in just in time to go to the Stitch Meet n Greet where Bradley Baumkirchner will be the special guest-- (f.y.i I had to look up who Bradley was because I don't watch that much TV). The Austin Chronicle ran a great article today about the event, I'm mentioned in the 8th paragraph, pretty cool! So if you are going to stitch come find us and our new promo gear we will be launching including t-shirts and totes with designs by Lara Cameron!!! 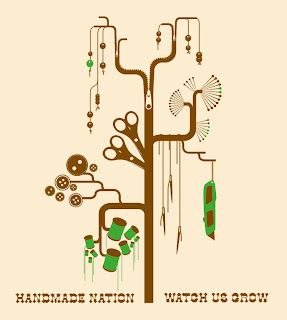 Originally uploaded by Indie Craft Documentary. 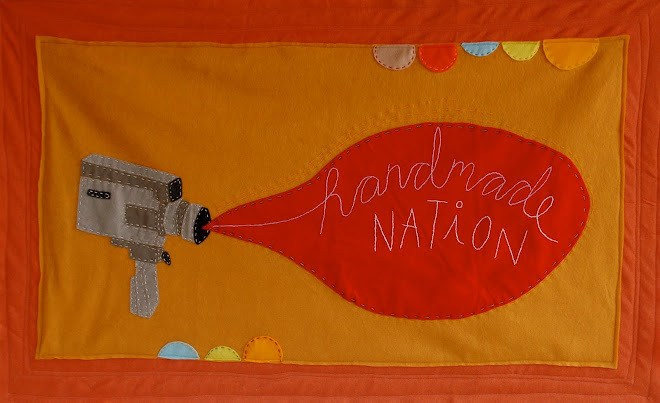 Handmade Nation featured maker Susan Stars was featured on the guest blog series by Not Martha and talks about her in-depth involvement with the DIY craft scene and her new book due out in March 2008 on Taunton Press. 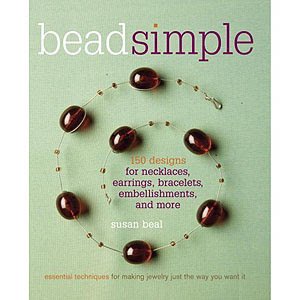 Bead Simple is the first book I have ever personally contributed a project to, so I am extra super excited to see a copy in person! The book also has projects by a handful of other featured Handmade Nation makers including Betsy Greer, Leah Kramer, Torie Nguyen, Jennifer Perkins, Linda Permann and Christy Petterson!! Yowza! Kate Bingaman-Burt sent me some links to the typework for the book she has been working on- it is amazing and so exciting! Check it out HERE.